When you don't blog for a few weeks, the stories can get backed up! The picture above is from a beach near Charleston. I did the 5 Mile Low Country Splash there. It was long. I got tired and hungry. The end. We'll start with the 3 Little Pigs triathlon. This is a fun event and not very far away so I try to make it every year. It's a 250 yard pool swim - 15m mostly flat bike, and 5k run on flat shaded greenways. All in all a nice summertime event. I've been 1st, 2nd, 5th, and 20-ish over the years depending on how fit I am and how hot it is. This year my fitness was good, the weather was pretty mild, and I finished 2nd with a good race overall. Faded on the 2nd half of the run just from being life-tired. That should be a real noun in the English dictionary. "Hi, how are you?" "I'm great, just a bit life-tired." Anywhoo. They have a nice spread for kiddos and cool Wolf and Pig trophies for the winners. Yay for me. Logan showed us he could swim in the kid pool after the race. Inspiration came in the form of a little blond girl who showed Logan how to go underwater. Now we can't get him out of the pool. Bri won, which is always fun to see! Boone camp was awesome as usual. Since I'm in Ironman training mode, I loaded up. 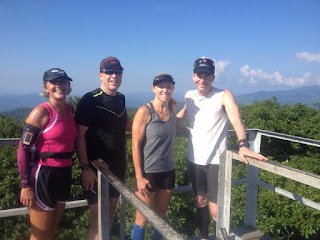 We got in a 50+ miler, a 100 miler with 2 tough long climbs - Snake Mountain and Mount Jefferson, and a 12 mile long run. Plus a 3k swim. I was pretty tired for a few days after this. 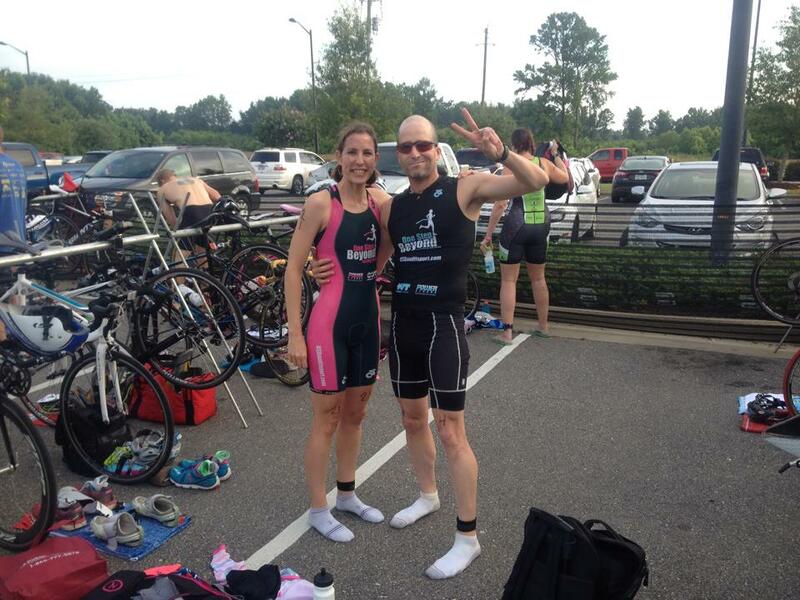 The Triangle triathlon was tough. We rode with some of our athlete buddies to and from the race to make it a longer training day. The water was way too hot - 91 degrees. I overheated a bit and never really recovered. The 17.5 mile ride was good but not great. Just couldn't push the legs that well. Power wise I was 10% off the 3 Pigs level (where I felt very good). The run was pretty awful for me. I have trouble breathing in humid conditions and just could not stay ahead of it. At 3 Little Pigs I ran 20:20 or so. 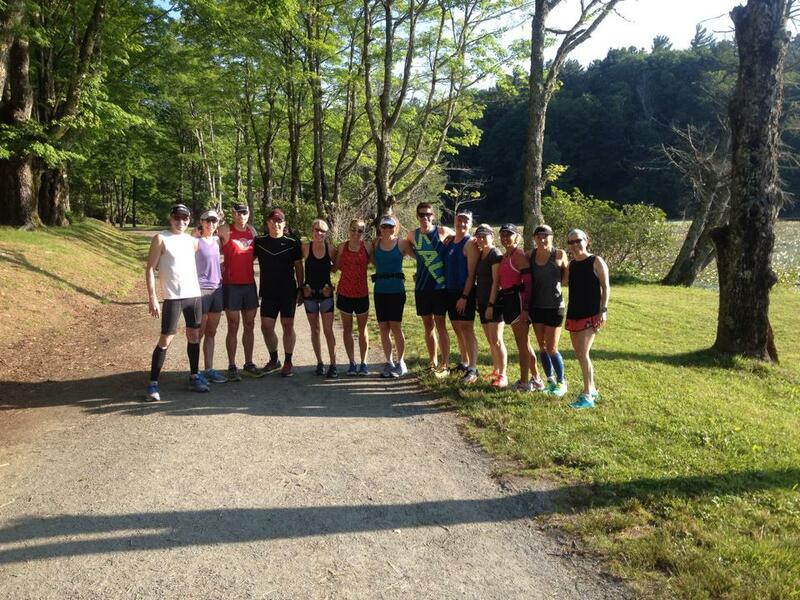 At Triangle I ran 23:40 and it hurt like the dickens - cramping, gasping, oh the pain. The last time I did this race (6-7 years ago) was similar so I'll be checking out for this one despite it being so close and convenient. Until I forget the experience and decide to do it again in a few years. Stupid is as stupid does. Ironman training is going well. 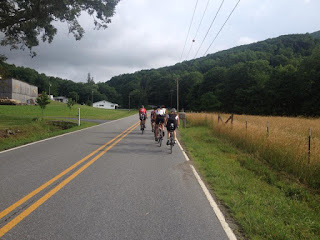 I am getting in 20-30 miles per week running, and a 80-100 mile ride every 2-3 weeks. Realistically I am giving myself a 20% chance of Kona qualifying at Ironman Chattanooga. It would take the best day my fitness can provide to make it. There is also execution, nutrition, and dumb luck (who shows up, who has a bad day, etc) to get there. Low 10 or even sub 10 hours is what it will take in the M45-49 AG. Having a good day on the bike and holding together on the run are the key points. While I will swim well, I'm not training very hard in the swim so won't be getting a buffer gap there like I used to be able to. Just a time/life equation that we all have to figure out. It has and is fun training for the race but the time commitment is tough when you have little people to worry about. Depending on the swim current, I'll be around 50 minutes. Bike anywhere from 5:10 to 5:30 depending on the legs, and hopefully 4 hour or a bit less on the run. That's a low 10 with transitions. The real goal is to just have a good race and not hurt too much. Next up is the Lake Logan triathlon. I had a good day last year and my goal is to either match my time going at less effort, or beat the time. 4:45. Lots of climbing on the bike so not a fast course all in all. Looking forward to a night out and about in Asheville after. More pictures to be added as I get inspired.